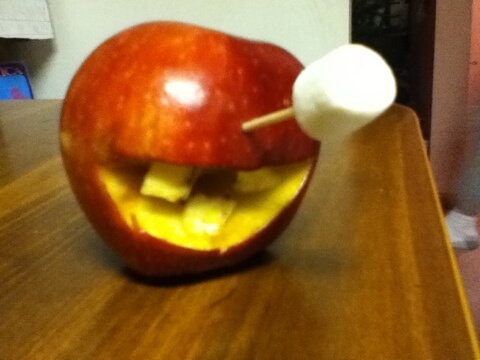 A happy apple cyclops, with a marshmallow eye and banana teeth. 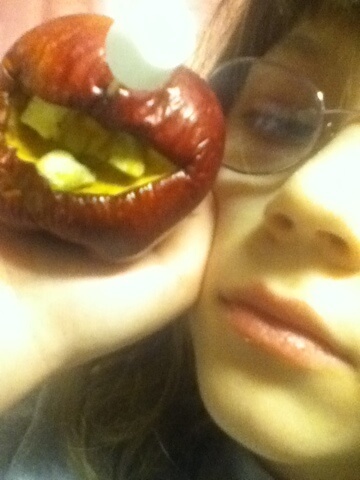 My daughter’s creation. 5 Feb 2011 in Aesthetics, Culture, Personal. ← Remediate a slideshow via whiteboard? When the techno-awesome video projector won’t start, I draw the line.